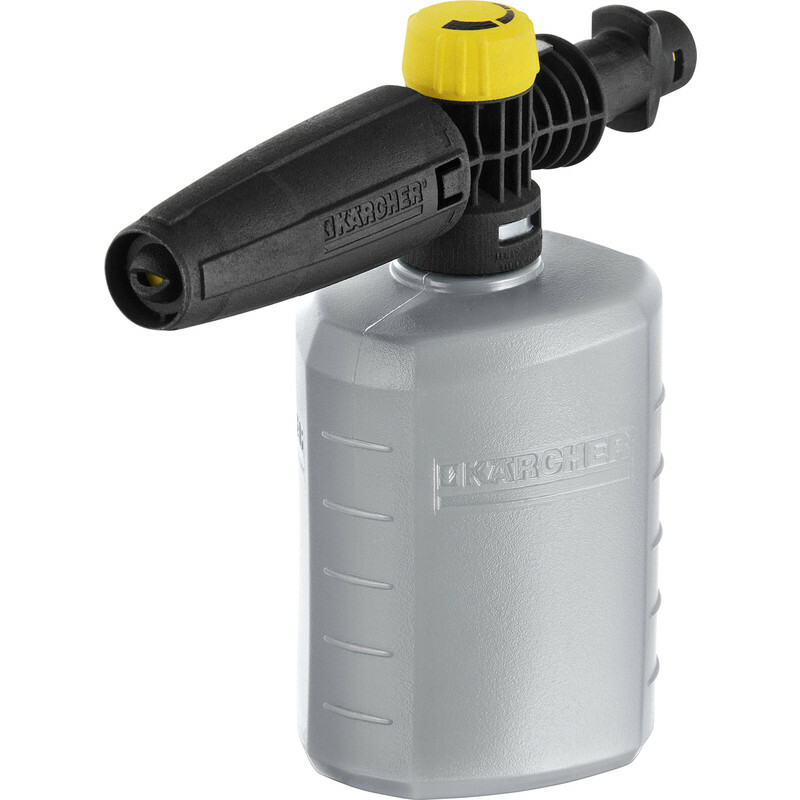 Suitable for all Karcher K2-K7 pressure washers. Ideal for use with the Karcher Ultra Foam Cleaner. 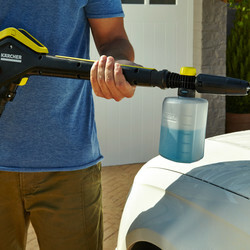 The Karcher FJ6 Foam Bottle provides a powerful foaming action for easy cleaning of all surfaces. Simply pour the Karcher detergent directly into the foam nozzle, attach the nozzle to your pressure washer gun and apply the foam. Ideal for use with the Karcher Ultra Foam Cleaner. Karcher FJ 6 Foam Bottle is rated 5.0 out of 5 by 2. Rated 5 out of 5 by Griff0410 from Works brilliantly Bought this to attach to the new K5 pressure washer and for use with Autoglym foam. Works really well and has usual foam variation dial and spray options (vertical , horizontal) good value for money too.